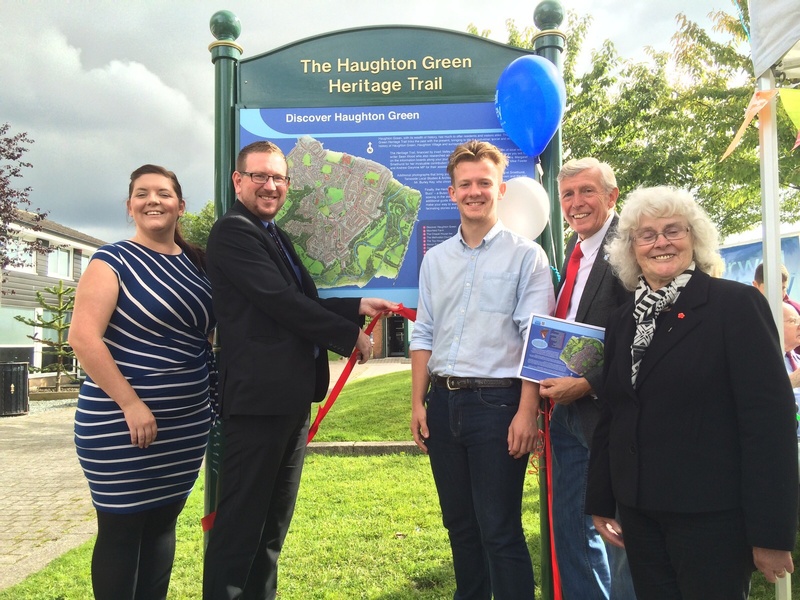 Local MP Andrew Gwynne joined local historian Margaret Smethurst and local councillors, Claire Francis, Margaret Downs and Mike Fowler, to officially open the Haughton Green Heritage Trail. The Heritage Trail, financed by Irwell Valley Housing Association, is the inspiration of local wildlife writer Sean Wood who also researched and sourced much of the content and pictures you can find on the information boards along the journey. “I am so excited to see this Heritage Trail officially open. I have been pushing for this for a while, so it was a particular pleasure being here today.